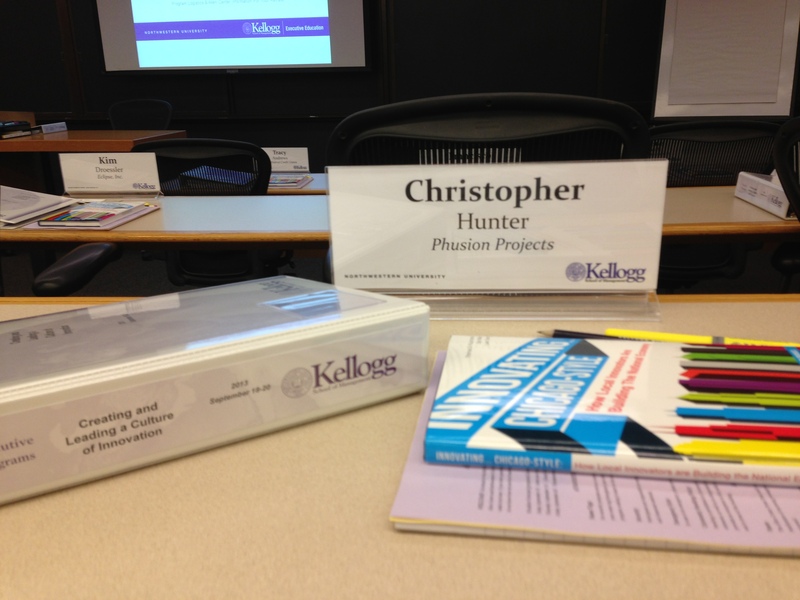 Recently I was fortunate enough to attend an Executive Education Course at Kellogg School of Management. The course was focused on Organic Growth and Innovation. Considering the topic, I was really excited to attend. As the date approached, I have to admit I was actually a little nervous. I haven’t been on a college campus in a learning role since I graduated from The Ohio State University Fisher College of Business in 2002. I found myself worrying about things like if I was going to be able to keep up, how I would compare, both knowledge and success wise, to the others in the course, and all other sorts of things. It didn’t make it any better that I the course started on a Sunday, so I had to leave my family on a weekend. Sunday travel is never fun. However, once I arrived on campus, I immediately felt comfortable and realized what a unique opportunity this was. Not only did I have the chance to disconnect from the everyday things like work and home life to focus on learning on a specific topic, but I was also surrounded by really smart people from very diverse backgrounds. In the first session, the program Academic Program Leader, Robert Cooper, informed us that we would be receiving a lot of information in a very short time and, in an essence, “drinking from a firehose”. He wasn’t kidding. We covered so many topics in a few hour session that I wasn’t sure how I was going to retain it all. That’s just it though, you don’t retain it all, but rather get some great ideas and processes that you can use in the future. As Bob mentioned, none of these models or teachings are perfect, but rather what they have found useful for many other companies. We were provided with binders with all of the slides and information so that we could go back and reference them in the future. The week was amazing. The cases that we worked on and the people that we all got to meet were well worth the time and money spent. I left incredibly refreshed, refocused, and re-energize. Some of the topics were spot on and exactly what we as a company needed to refine our process for evaluating and managing growth and innovation opportunities. However, with all the benefits, I did find myself jealous of one group. All of the leadership team from a company called Eclipse were there taking the course together. They were all fun and smart guys, but what made me envious was that they got to go through this course together, as a team. I can not imagine how valuable this was for them. 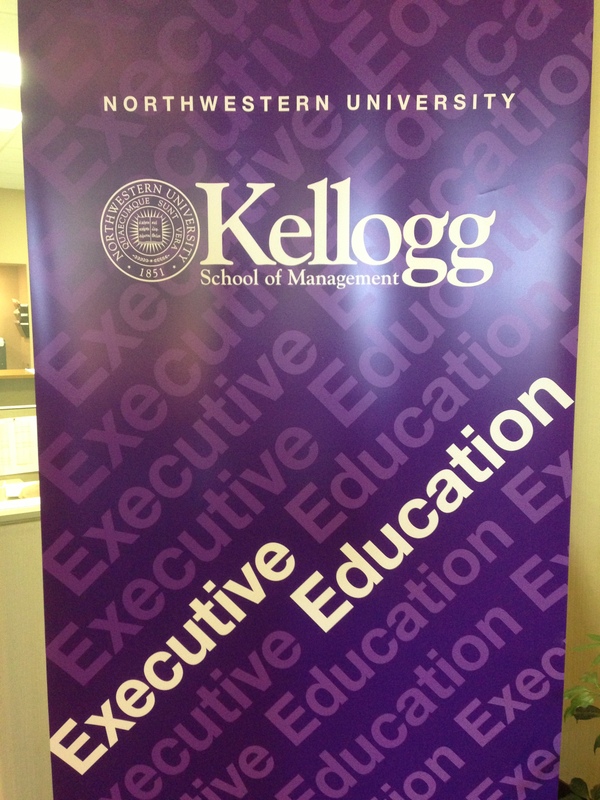 To their credit, they worked extremely hard during their time at Kellogg. When the group completed a case study, the Eclipse team would usually break out and keep working on the overall concept, but specific to their company. I found that trying to translate this information to others is a difficult task, so for their team to hear it straight from the program leaders mouth was a big advantage. Now that it is a few weeks after the completion of my course, I’ve gone back to review the material that we received. I’ve started to use one of the most pertinent models for a project that we are currently working on. The fact that I’ve already used the model in case studies during the course proved very beneficial. In fact, when I walked through this with the President of our company, it proved to be a valuable conversation starter. We were able to hash out some strategies and gain further clarity on our approach as a result of this. The model used was so relevant that he suggested that we ask Bob Cooper to come in and do a session with our executive team to review the principles associated with it. This was something that I was hoping to do anyways because of the value that I saw the Eclipse team take from it. Looking back on this experience, I wonder why I was ever nervous about it. I guess venturing outside of your comfort zone and routine isn’t always easy, but obviously is worth while. This opened my eyes. I now see the value of both and plan on continuing to focus on learning not only from Executive Education courses and other structured offerings, but also by viewing my daily interactions as valuable learning opportunities.